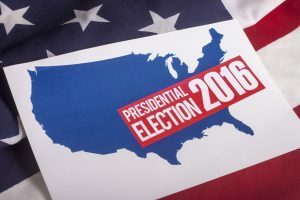 As the election for the next president of the United States is just a few weeks away, the country is prepared to hit the polls and vote in whomever the next president. But long before November 8, both candidates were seeking support. And looking at the numbers released on the Trump campaign, millions were spent on direct mail marketing to reach his supporters. Running a campaign to become president is not a light undertaking. It takes a great amount of energy, focus, and large amounts of financial resources to lead a successful campaign. Without donations and fundraising, in fact, it would be impossible even for someone with the resources of Donald Trump. Candidates rely on the support of their constituents throughout to fuel the campaign. Not only does this support help with actual dollars, it also solidifies the notion that these supporters are behind their respective candidate. In filings taken from the Federal Election Commission, we now know exactly how much Donald Trump has raised on his campaign. A report by Bloomberg puts Trump’s total campaign gain at $155.0 million in three months ending in September. Of that figure, $29.0 million was raised through direct mail marketing. And that does not include the cost of renting potential donor lists. As you can clearly see, direct mail marketing has played a huge role in Trump reaching his supporters. Imagine removing that $29.0 million from his campaign and you can guess the shortfall. The truth is, direct mail marketing is and has been crucial to all candidates. It is the form of marketing politicians turn to when they want to speak to their following or get a message across to potential supporters. The fact is, when a brand wants to send personalised messages to its audience, direct mail is the chosen method. In order for politicians to gain support, they really need to touch the heart of voters. Anyone who follows and would potentially vote for a candidate needs to know who this person is. Direct mail allows this message to be heard better than any other form of marketing. Part of the reason is because it touches on the senses. You can touch and hold a piece of mail. You engage with the colors, see campaign logos and can take your time to sit with its messaging. A piece of mail just seems more authentic and more real for potential voters who are making a very significant decision. This is something Macromark has understood for a long time. We know the impact of direct mail marketing and how it can speak to consumers, or in this case, constituents. We’ve been in the direct mail business for three decades and have seen and experienced many successes. What has kept us thriving is that we offer the most comprehensive lists in the market, which allow our clients to maximize their results. If you’d like to know more about how direct mail marketing can make a difference in your next campaign, contact us today. Neely, A., “Direct Mail Key to Trump Fundraising Efforts,” DMN, October 17, 2016; http://www.dmnews.com/direct-mail/direct-mail-key-to-trump-fundraising-efforts/article/560287/.